A Photographers' Blog – Capturing your priceless moments. When should you get your Senior Portraits done? It’s been awhile since you’ve heard from me, but in the midst of my busiest season, I wanted to address a very important question. It’s one that always comes up when you have a High School Student in your household, and it is really one only you can answer. “When should we get Senior Portraits done?” If you’re asking me, I’ll tell you the short answer is: Anytime you are ready!! The long answer just leads to more questions. 🙂 Personally, I have had parents and students contact me for pictures during their Junior year in High School, after their Senior has already graduated, and even for College Graduations because they never had “senior portraits” done before! So the real question is . . . WHEN DO YOU WANT TO HAVE YOUR SENIOR PORTRAITS DONE? Let me start by introducing to you Rose, Class of 2017. She is one of seven kids in her family and only the second one that wanted to have Senior Portraits done. She is a beautiful and unique young lady. She is the ONLY girl I know that is going to be a welder! Yes, you read that right. This gorgeous girl is going to be hiding behind a grungy, dirty mask to protect herself from the harmful light that welding produces. Her tiny little frame will be hidden by a jumpsuit to allow her to move freely throughout the job site. It’s that small petite size that will make her invaluable in the industry since she will be able to fit into all those small spaces that a man cannot get to. She is finishing up her education at Central Pennsylvania Institute of Science and Technology and already has a job lined up! Rose is not the first Senior that have I have photographed that was not longer a High School Senior, but she is the first one this year! Let me tell you how it all came about …. Our conversation first started in the Fall of 2016, the beginning of her senior year. Her mom and I had talked about winter portraits, in a stream, with a summer dress. It sounded really cold to me, but this Senior Photographer was excited to try something totally different! 🙂 After the consultation with Rose, I got even more excited!! I started planning and brainstorming about how it was going to work, where it would be, and got myself ready to be “on call” for the moment we had snow. Here in Central Pennsylvania, that could be anywhere between October through April! hahaha! Sadly, due to the series of unfortunate events, that plan never happened, and before we knew it her senior year was over. Now just because she was technically no longer a Senior, didn’t mean that her dream of having Senior Portraits was totally shattered. We just simply adjusted the time frame. She did have a little trouble getting off work because they didn’t think it was possible for her to be getting them done after her graduation, but that was the only trouble we had! So on June 15th, about a week after she graduated high school, we did her portraits! It turned out to be a BEAUTIFUL day! Perfect for portraits!! This review was completely unsolicited . . . I just got a notification in my inbox and went to check it out. These are words from a truly happy client . . . and that means the world to me. So whether you are a Junior, Senior, or post High School, don’t feel like your chance is over! Your portraits can be taken ANYTIME you are ready! Even if you are a Freshman that just wants to start planning out your session with me. It truly doesn’t matter. If you want “Senior Portraits” I WANT TO HEAR FROM YOU! Let’s make it happen together! If you are ready to start planning your Senior Portrait Session, feel free to Contact Me anytime! I’d love to get you on my schedule! I had the privilege of photographing a wonderful and beautiful soul last week! Edwyna turned 88 years old this month and wanted to celebrate her life through photographs. She wanted to leave a legacy for her children and grandchildren . . . to be able to show them what is possible at the grand age of 88. How wonderful is that?!? This woman is SO full of life, love, and laughter! It was a complete honor to be a part of this legacy in the making. So . . . what is a legacy? Merriam-Webster defines it as: something transmitted by or received from an ancestor or predecessor or from the past. Based on that definition, a legacy could be anything we leave behind for those that follow us. I absolutely LOVE that Edwyna shares my passion for pictures, and considers them to be a legacy for her family . . . something they can look back on for many years to come!! I believe the same thing!!! It was a chilly morning when I arrived at Edwyna’s house. She lives on the same property as her son and grandson . . . but in her own beautiful home. We planned on doing her photographs in her home, which I had never seen before. I was pleasantly surprised when I arrived. Edwyna answered the door and was dressed in a formal gown, and the many windows in her home lit up the house beautifully . . . no studio lights needed! It was perfect! We started with a few formal photos to get her warmed up and used to me and the camera. She was a little nervous but her daughter and friends were there to help her relax and make her feel more comfortable. Once she started to play the piano, she settled in, and just had fun. The music just flowed through her . . . and her true personality began to show through. After all, the piano is where Edwyna spends a lot of her time. She continues to play at her church for worship on a regular basis. A true blessing was watching both mother and daughter play the piano together. When Linda asked her mom, “what should we play?” Edwyna immediately responded with “Jesus Love Me.” and away they went. It was beautiful. This wasn’t the typical simple song we all learned as children . . . they truly jammed and let the music speak to their hearts and souls as they played! We (Edwyna’s friends and I) HAD to clap in response when they finished! This incredible woman sews, colors, has her own computer and cell phone, bakes for her grandchildren, entertains her friends and family, keeps up on her grass with a battery powered weed-wacker, and still plays basketball. She is truly amazing! Though we ‘acted’ as if she was actually sewing and baking, we were really just pretending and going through the motions. Edwyna made the sound effects to make it more realistic . . . which only made us laugh! 😀 She did, however, truly shoot that basketball and got it through the hoop about 50% of the time. My hope for myself and for anyone reading this is that we find and keep JOY in our lives. That we enjoy life to its fullest everyday. That we will stay active, share our wisdom and love with those around us. Live knowing that each day we are given is a blessing from God . . . and there is purpose in our lives. Our lives touch others in ways we may never know or understand. Even when you think no one is watching . . . someone is. Let you life be an example and a blessing to others. Edwyna’s life has been a blessing to her 4 children, her 11 grandchildren, her 8 great grandchildren, her late husband of 63 years, her friends, her church family, countless others, and me. Be a blessing to those around you, and your legacy will be the life you lived and the love you shared! Each client that I am blessed to photograph finds a special place in my heart. Edwyna is no different. This photo session will be treasured forever! 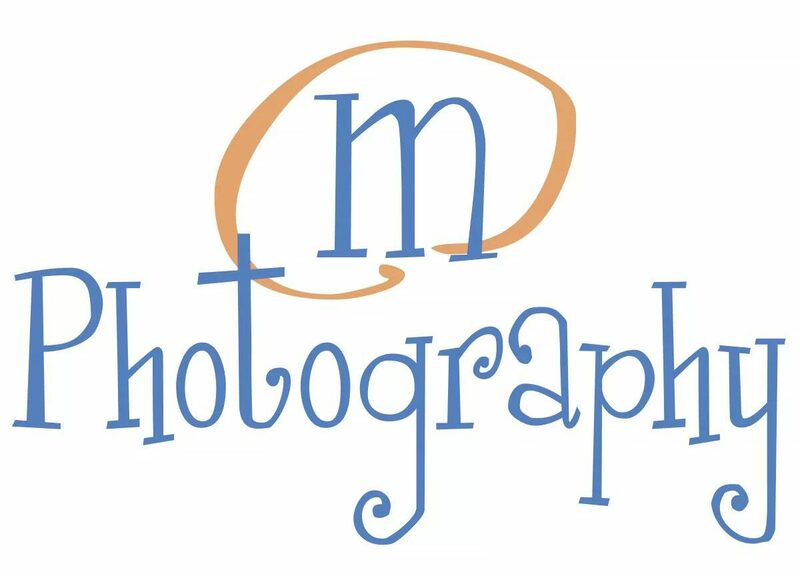 If you are ready to schedule your photo session, please feel free to contact me anytime! I’d love to help you start planning or answer any questions you may have! Until then . . . This week I found myself thinking back and remembering when I was in Elementary School and Middle School ~ I was a Brownie and a Girl Scout. My brother was a Boy Scout . . . my mom was also a Den Mother. I remember camping with my with my fellow scouts, learning lots, trying new things, and having lots of fun together. My brother and I eventually dropped out of our troops, and life went on. Fast forward to when my boys were in Elementary School, we decided to get them involved in Cub Scouts . . . and I, like my mother, became a leader for my younger sons’ group. We built birdhouses, camped, ice skated, and plenty of other fun things. My husband and I both hoped that they would continue and move up to the Boy Scouts Troop . . . but no such luck. They lost interest and dropped out. On Sunday, March 12, 2017, I was honored to be a part of something amazing. Something that I knew was possible, but had never personally seen. One of my Seniors invited me to his Court of Honor Ceremony. A ceremony to celebrate becoming and Eagle Scout. The highest honor of any Boy Scout. He didn’t start out early in Cub Scouts and even got a late start as a Boy Scout, but Noah, with hard work and determination made it happen. I first met Noah when my oldest son began to play soccer for the our high school team. Noah is a year older than my oldest and was on the varsity team. It was obvious from the very first game that he was one you keep your eye on. Then, I ran into him on the track team, when my younger son joined the team. Soon, I was seeing Noah everywhere. He’s a member of the drama group, the choir and regional choir, the band and regional band, and is even the drum major for the marching band this year. He’s on the track team and was a captain of the varsity soccer team . . . and of course a Boy Scout. I know there is much more that I am forgetting, but you get the point. Noah is an exceptional young man. Part of becoming an Eagle Scout is to do a service project for the community. During Noah’s Senior Portrait Session, we took photos of him at his project location. Bald Eagle State Park is a park that I go to often. It’s close to my home and is a beautiful location for photos. With the mountains in the background, the lake, and all of nature around – you can’t go wrong! When The Nature Inn was added to the park, it only made the scenery more beautiful. It was at this State Park that Noah did his Eagle Scout service project. Noah’s project was located at the Environmental Learning Center at Bald Eagle State Park. The project was to restore and make additions to the bird-watching area. It included tiling the area and planting new grass, removing rocks and weeds, sanding and sealing the split-rail fence, placing mulch under the length of the fence, fixing a large open bird feeder and building a second, identical bird feeder, and then painting both. He also refurbished two raised flower beds for planting native plants, butterfly milkweed, and bee balm at the request of the park. He began all of this work on July 2, 2016 and finished on August 20, 2016. His hard work paid off . . . It turned out beautifully! Finally the day arrived, five years after he first became a scout and 23 merit badges later, Noah and his family were about to celebrate this huge accomplishment. He had his family and friends there along with his Scout Troop 370 and several honored guest there, all to pay tribute to him. He stood at the front of Faith UM Church and accepted each token and certificate with humility and grace. As a parent, I know that his parents sat proudly beaming, and probably fighting back the tears at times. I know this because as his photographer, I was beaming with pride and fighting back tears of my own. I have never been of part of such a ceremony . . . and I was truly amazed at the number of guest that were there to honor Noah’s accomplishment. Among those guests were our State Senator, Jake Corman and our State House of Representatives, Kerry Benninghoff, along with our Centre County Commissioners, Mark Higgins and Steve Dershem. There were also representatives from the Elks Lodge #1094, Nittany Leathernecks, PA State Police, the Centre County Sheriff, and though our U.S. House of Representatives, Glenn Thompson, couldn’t be there, he sent a certificate to honor Noah. For me, there were a few very moving moments during the ceremony. The first being when Noah’s grandfather took the podium for the Eagle Charge and Promise. That was closely followed by Noah receiving his Eagle Scout Pin and then presenting his parents with their own pins. And then the presentation of Noah’s Mentor Pin. I found this particularly special because he chose his best friend, the one that got him involved in scouts, to receive his Mentor Pin. Though Dion may have suspected that he would be the one chosen, he was still clearly moved by the decision. After it was all over and the colors were retired, we celebrated! Photos and food and close inspection of all his certificates and gift given during the ceremony. There were SO many certificates, that in the photo below, some had to be covered by others. Noah plans to return to Philmont Scout Ranch with Troop 370 as and adult leader in the summer of 2018. In the meantime, Noah will graduate from Bellefonte Area High School in June of 2017. In the summer he will begin his college education at Penn State, where he will study Nuclear Engineering. He also hopes to join he Naval ROTC. Noah, I am honored and proud to call you one of “my” seniors! Thank you for including me in this monumental moment in your life. Thank you for choosing me as your Senior Portrait Photographer. I wish you all the best in everything you do . . . though I have no doubt that you will be successful in anything you put your mind to. Stay true to who you are and never doubt your abilities. Charlene and Frank, congratulations! You have raise a wonderful young man and should be very proud! Thank you for sharing him with me, and for inviting me to his ceremony. I truly enjoyed myself and will remember it forever. If you are interested in learning more about Boy Scouting in your area, visit this website: www.scouting.org. If you are interested in learning more about Girl Scouting in your area, visit this website: www.girlscouts.org. The Bellefonte Class of 2017 has been a truly incredible class to photograph. Every time I turn around I hear of another one of “my” seniors accomplishing something new, being honored in some fashion or another. I truly look forward to hearing about each and every little and big “win” in their lives . . . and I can’t wait to see what the Class of 2018 will be like! If you are ready to schedule your Senior Portrait Session or just have questions, please feel free to contact me! Today I am finishing up with the short little blog series on Make Up tips for your Portrait Sessions. As a Bellefonte Senior Photographer, I have seen a lot of different looks and styles. As a Mary Kay Consultant, I’ve seen a lot of make up do’s and don’ts that can make or break your photo session. Most of the videos I’ve seen ARE NOT done by professional make up artist! If you’re going to be a copycat, copy the right cat!! Take notes from the professionals! What is good contouring for you, may not be what is good for me. If you click on the link above, it will take you to the Mary Kay website for contouring. On that page you will see tabs for different face types . . . and a contouring map that goes with that face type. This is the best way to show you where to contour for YOUR face type. If you are like me, and your face tends to be a little ‘fuller’ than you’d like – the only thing I would add to the contouring map shown is to put a little bronzing powder under your chin and just under your jaw line. This creates a shadow effect and separates your face from your neck a little more . . . giving you a slimming effect. Here are two videos on contouring . . . taught by professional make up artists using Mary Kay Cosmetics . Keep in mind, these videos are older and the colors they are using are no longer available. I’m sharing these for the educational value of the tips and tricks used to contour your face. This first video covers cheek and nose contouring with highlighting included. This video covers the whole face, including your eyes and eyebrows. Whew! Now that I made it through the instructional part . . . let me show you a few of my favorite products! I use the Bronzing Powder everyday, and Shy Blush is my go-to color. The cheek duos are awesome because you can run your brush through both shades at the same time and apply all at once! Love that!!! Yup, my lovelies . . . that is straight out of my purse! From a girl who only used to carry 1 lip gloss – occasionally – to a lip junkie! Count ’em up. . . . there are 11 different lip products there! All I have to say is this: Mindy, my dear friend and director, if you are reading this . . . your lip fascination is contagious!!! Love you girlfriend!!!! SO, are you wondering what all I carry with me? Right off the bat you’ll notice that 4 of those things look the same . . . and I’ll bet you’ve figured out that those lipsticks are probably my favorite – and you’d be right! There are 4 different colors, but all the same type. We’ll get to those in a minute, but let’s start at the beginning. After all, if you want a fabulous lip at the end you have to start at the beginning to see how it all comes together! To start it all off . . . I had to first take care of my chapped lips. I had a nasty habit of biting my lower lip. It caused problems every winter, and sometimes into the spring and summer. It seemed no matter what I did, I could never “cure” the problem. Until I learned about (and tried) the Satin Lips Set. It comes with a Lip Mask and a Lip Balm. Once I started using it, my lips got better . . . and have stayed better! No more chapped lips for me!! With my lips healed and smooth . . . I was able to start wearing lip products of any kind without issues! It still took awhile for me to develop my lip look . . . and to perfect the staying power of my lip products. Then found this . . . This is the TimeWise Lip Primer, and I am sorry to say that this fabulous product is no longer available for purchase, UNLESS your Mary Kay Consultant still has some in stock! I know a few consultants that just might! 😉 The lip primer works the same way that the foundation primer works. It fills in all the fine lines in your lips to provide a smooth, even surface for your lip products to rest on. It also extends the wear of your lip products – just a little added bonus! After I apply the lip primer, I go around the edges of my lips with a lip liner . . . then I softly color in my lips with the liner. Why use a lip liner? Good question! Having your lips lined helps to accentuate the shape of your lips and/or fix any issues you don’t like about your lips. For instance – getting personal once again here – I have one side of my upper lip (right along my cupid’s bow) that is slightly different from the other side. I can adjust the look of that tiny flaw so that no one is the wiser. Another reason to add liner to your lips is to extend the wear of your actual lipstick AND you can use it to change the color of your favorite lipstick so that you can get multiple shades out of the same lipstick! It’s like wearing the same top with a skirt, then changing the look with a pair of jeans, and then changing it again with dress pants. If you want to throw on a scarf that changes the look completely. In this case – “the scarf” would be the lip gloss to top off the look of your lips! Now just a brief cautionary moment here: The eye liner and the lip liner look the same (except for the tiny color ring around neck). Be sure to look at that color ring before you apply your red lip liner to your eyes, or your black eyeliner to your lips. As you can see, I’m a neutral girl. I like to stick to browns and natural lip shades that just add a slight pop to my finished look. Wanna know what the differences are? I thought so! Upper Left – is the Gel Semi-Matte Lipstick. Obviously my favorite since I have 4 of them! This goes on and feels like you have nothing on! With the primer as a base, then the lip liner, topped off with this lipstick, I can literally wear it all day and never feel like I have anything on! Add a gloss or lip oil to it and it’s a whole different story! Upper Right – is the True Dimensions Lipstick. This one is soft and silky on your lips. It’s like a fountain of youth for your lips. They feel softer and smoother and I love that. I also love this chocolate color! Lower Left – is the Creme Lipstick. This was my first purchase with the Mary Kay lipsticks. I LOVE the Maple Color!! This creamy lipstick feels like luxury on your lips with its stay-true color and a satin finish. Lower Right – This is the NouriShine Plus Lip Gloss. This is the gloss I’ve been using for a while now. It goes on silky smooth and is light enough to alter the color of my lipstick without totally changing it. Bottom Center – These little buggers are the NEW Glossy Lip Oils. They only come in three colors are new for the Spring 2017 Season. If you like a super glossy feel without a glowing glossy look . . . this is the one for you . . . and me!! As you can see the Magenta Ray one is brand new, it just arrived at my house the other day and hasn’t been used yet. It gives me the perfect shot to show you what it looks like though. There is a soft, fuzzy tip that the gloss will seep through when you squeeze the tube. They are infused with Grapeseed, Avocado, and Jojoba oils. If this is something that interests you, drop everything and call your MK Girl now. These are only available while supplies last! So now that you know the different types of lip products out there . . . how the heck do you get that outstanding lip look? Here are the steps I follow. Apply second shade (a lighter shade) inside that leaving the darker shade showing around the edge. Apply the lip gloss just it the center – heart-shaped – going over the cupid’s bow on the upper lip and just a touch on the lower lip. This look adds dimension to your lips and gives you a beautiful “pout” look. NOW – remember your lips are going to be different from mine. This look might need to be altered to work on your lips. My lips tend to be on the thinner side, but not to thin. If you have fuller lips, you probably don’t need the same amount of dimension that I need. Play around and have fun with it! Bonus tip: Add a light dusting of the translucent loose powder on the out edge of you lip to keep you lipstick and gloss from bleeding and sliding off your lips. Also helps to add a youthful appearance to your lips. Double bonus tip: add just the slightest touch of Crystalline Mineral Eye Shadow to the top of your cupids bow. This will act as a highlight for your lips, accentuating the heart shape of your upper lip. If you prefer something a little more bold, check out the video below! This video even has me thinking about trying out a Rocking Red Lip! Here is one thing that I want you to remember for your portraits . . . especially if you will be changing outfits. A natural look is one that will stand the test of time. Go classic and you’ll never go out of style! The little detail matter in your photos, so be sure to pay attention to all the details . . . both you and your photographer will be happier in the end! Here is one last fun little video that I just had to share. Sorry about the language! I hope that you have enjoyed this little Make Up Tip Series! I you have, I’d love to hear from you. Tell me what your favorite tip was or what your favorite Mary Kay product is! Don’t forget to follow me to see what is up next on the blog, and share it out so your friends can follow along as well! So you’ve booked your Photo Session and now the fun part of planning what to wear starts. You open up your closet . . . and go completely blank. You call your bestie for advice, but you’re still not sure what will look best in your photos. Are these photos that you are so excited about even going to turn out good if you can’t even figure out what you are going to wear?? Relax . . . this is something that I can help with!! Remember in your photo consultation, we talked briefly about colors and outfit choices? You already have all that information in your Welcome Packet! If, however, you are reading this and you haven’t gotten your Welcome Packet from me yet . . . I’ll let you in on a few tips that will help you knock your Senior Portrait Session out of the park! Let’s start with the basics: Colors! There are 3 colors that will look good on anyone, no matter your hair, eye, or skin color. They are Navy, Teal, and Purple. Seriously . . . these colors look good on EVERYONE! In my color guide, there are different colors that will look best on you based on your hair & eye color . . . but anyone can rock these colors!!! Don’t get me wrong . . . I love bright colors. They just don’t look good on camera because they are SO bright that the color tends to reflex onto your skin . . . which does not look good in your final photos. In the same respect, if you choose to wear Black or White, just be sure to wear another pop of color as an accent. Now that you have an idea on what colors to wear . . . let’s talk more about fashion! Whatever you choose to wear in the end, make sure it’s YOUR style, which speaks to who YOU are! Dresses and skirts look the most stunning because they really flatter every female body. I recommend avoiding pants and shorts for your session, and saying yes to a dress or two instead. Long, full-length, flowy dresses and skirts look amazing on camera because they bring extra movement to the photos. Especially when combined with nature, like fields & forests. Consider softer fabrics like chiffon or tulle which allow for beautiful movement in the images. High Heels or Pumps elongate ladies legs, making them look fabulous. Closed-toed heels in particular look great on camera because they carry out the line of your leg all the way down to your toe. If your toes are showing in a peep-toe heel, you might want to schedule a pedicure before your session so you don’t regret letting your feet show. These little tricks make all the difference! Long, fitted pants and closed-toed shoes are the most sophisticated and masculine looks for men. They draw attention away from your legs and feet and place it where you want it: on your handsome face. So, for your session, it’s best to leave the shorts, sandals and jeans at home ~ as well as any pants that are loose or baggy. Fitted dress pants or fitted colored pants work best on camera. I recommend staying away from graphics and logos. Layers on men look great on camera, so even when it’s hot outside, trust me when we say that it’s worth an hour or two of discomfort for photos that will last you both a lifetime. Adding another layer will bring extra dimension and visual interest to your photos. Blazers, vests and coats up the level of any look. If the temperature permits, he could even consider adding a v-neck sweater with a pop of color from a long-sleeved collared shirt and tie underneath. Don’t be afraid to get a little creative with layers! Whatever you choose to wear, make sure you follow the look through all the way to your shoes! Those little details really do matter. If you are ready to schedule your Senior Portrait Session with this Bellefonte Senior Photograher, or would like more information on what you should wear, please feel free to Contact me! Digital files are something that everyone wants, and very few people ever do anything with. When I first started out as a Bellefonte Photographer, I gave out digital files as part of the session fee. I’ve come a long way, and I’ve learned a lot along the way! One thing I learned is that most of the clients that walked away with the digital images never printed any of their photos . . . and some even lost the CD with the files! I was truly shocked. I talked to several of those clients and discovered that they we’re sure what size photos to purchase or where to get the best prints for their money. Which is why I am now offering Photo Collections! This is just one more way to service you better. With all that being said, I decided to offer my digital files in my new Photo Collections. This will be the only way you can get the digital files ~ they will not be a part of the a-la-cart section. Each Collection will have a different amount of digital files included. For those purchasing Photo Collections you will be delighted with the Custom Case that the USB Drive will come in. It is a Matte Finished Photo Cover book that looks like an album! Outside the photo is wrapped around to cover the front, spine, and back of the book. It continues to the inside and is finished off with beautiful tight corners. On the inside there is a soft interior to cushion and protect the USB Drive. If you would like more information about my Photo Collections or would like to set up your Senior Portrait Consultation or Session, please feel free to Contact me anytime! This 16×16 Framed Photo Collage is sure to be a favorite for all my clients! It comes with a 1 1/4″ Black Onyx frame and all your images are mounted to perfectly fit the frame! Each image is double matted for a little extra style! Your Framed Collage will arrive ready to display with finished backing and hanging hardware. There are also 2 wall bumpers to insure both your walls and your frame are protected. One of my favorite parts of this Framed Collage, is that you get to choose the number of images in your own collage! You can choose from 4 4×6 images; 4 5×7 images; 9 4×4 images; 1 8×12 and 3 3×3 images; or 1 9×9 and 5 4×4 images (see images below). Make it your own and choose the layout you like best!